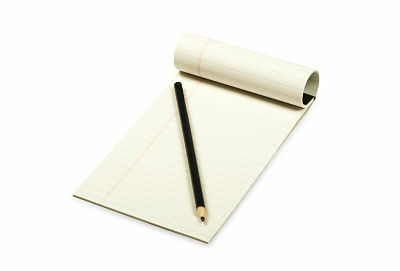 Writing an informative speech outline is simple and easy if you remember the basic elements of any good presentation. An outline includes the same elements. To create a good outline, determine your topic and decide what the focus of your presentation will be. For example, you may want to talk about dogs as a general topic. Narrow down your topic according to the amount of time you have for the speech you are giving. So, for a 'dog' speech, you may decide to choose a 'sub topic' such as different breeds of dogs, dog training, proper feeding and care of dogs or any other aspect of the canine world that interests you. Determine how you will open your speech. Asking a question or making a bold statement are two possible ways to get the attention of your audience. 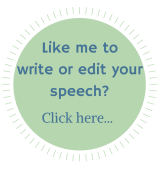 In the introduction you will also let the audience know what your speech will be about. Then decide upon the main point and sub points for your speech. The body of your informative speech outline will be made up of the main points and sub points. Make sure your points are distinct and carry equal weight in terms of importance. Determine the logical order of your main points, depending on the type of organization you will use. Your informative speech outline can be organized topically, chronologically or spatially. Topical speech organization means that the main points are different parts of the whole, or different categories. In a chronological organization the points are presented in the order of events. Points in a spatially organized speech are presented by how they are placed in relation to each other, for example, left to right, east to west or north to south. Finally, create a conclusion for your speech that summarizes your main points and leaves the audience with a positive impression. 1. When it comes to dogs, everyone has their favorite. Today I hope you've learned something about the three breeds I love best, the Great Dane, St. Bernard and the Bloodhound. The important elements of writing an informative speech outline are having an introduction, a body with main points and sub points, and a conclusion. Be sure to put your main points in a logical order according to a topical, chronological or spatial organization and you'll have a great informative speech outline!